Equine activities can be hazardous and may subject participants to injury. 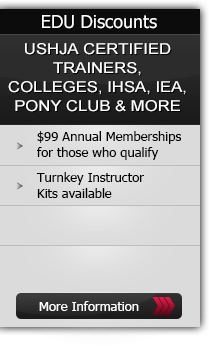 Neither Equestrian Coach LLC nor Bernie Traurig assume liability for your activities. This program provides general instructions and techniques that may not be suitable for everyone. No warranty is given regarding suitability of these instructions to the viewer. Does the sheer volume and variety of bits adorning tack shop walls today overwhelm you? Would you like to have a bit selection guideline that follows classical principals with your horse’s comfort at the forefront? If you answered yes to either of these questions, Bernie has pared down a list of his favorite go-to bits that will simplify and positively influence your bitting choices. As a clinician, Bernie travels around the country and abroad literally lugging around a bag of bits. Extra baggage fees aside, he finds that having his favorite bits at hand, ringside to be invaluable. Bernie Traurig - Click here to learn more about Bernie and view his other video topics. Hear the story of Bernie’s connection to one of the greatest grand prix horses this country has known, the first horse inducted into the Show Jumping Hall of Fame, Idle Dice. In the late 1960’s Bernie played a critical role in the pairing of the dynamic duo, Idle Dice and Rodney Jenkins, and the rest is history. Bill Steinkraus - View his bio. George Morris - Click here to learn more about George and view his other video topics.